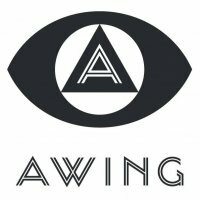 A Wing, the promotion team behind brand new Lancaster festival, Highest Point have just added even more names to their line up. Heading up the newest additions are Manchester club scene mainstays K-Klass and prolific selector DJ Woody, both of which will hit the Main Stage on Sunday 20th May, in support of the inimitable Hacienda Classical. Over at the stunning woodland Dell Stage, Mancunian institution Funkademia will bring the likes of disco edit maestro Greg Wilson and funk party starters Crazy P Soundsystem. The new names join the already announced Friday night takeover from leading drum n bass dons Hospital Records, who bring High Contrast, Danny Byrd and more to Williamson Park. Highest Point Festival will be a truly inclusive affair, with attractions and free family friendly activities during the daytime, followed by ticketed adult entertainment with bands and DJ sets through the night. Highest Point tickets can be secured from the box below.